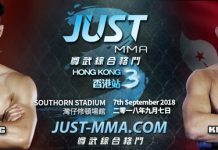 The first professional bout on the night of “JUST MMA – Hong Kong 3” at Wanchai Southorn Stadium will be a MMA pro debut match up between two fearless young fighters. “Lion” Choi Kim Shi from Malaysia will go head to head against Hong Kong’s Andy Tang. 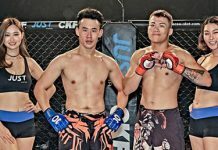 Active in Malaysia’s Amateur Kickboxing scene, Choi Kim Shi is known for his aggressive fighting style. 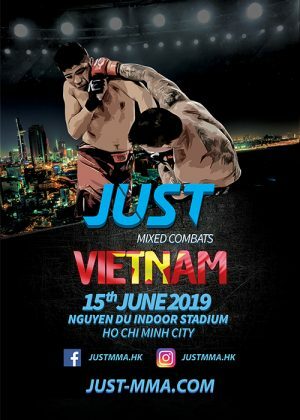 On the other hand, Andy Tang is a familiar face to Hong Kong’s Amateur combat sport scene, competed in various competitions such as Brazilian Jiu-Jitsu tournaments, Muay Thai competitions and Amateur Shooto. Without a doubt, these two fighters will soon become the standouts of the new MMA generation in Asia!